Your entire life resides on your iPhone. If you ever lost your phone, or unwillingly introduced it to, say, a puddle of water, would you be able to remember anyone's contact information other than your own? 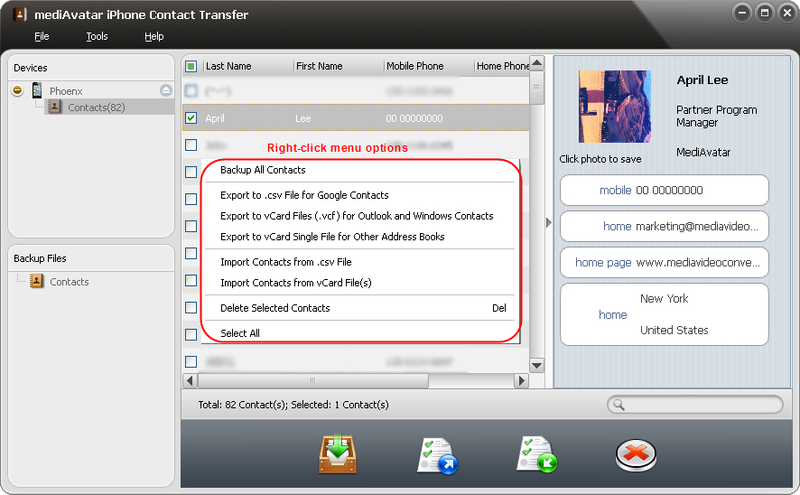 While there's no magic pill that can resurrect your iPhone from the dead, there is an easy way to make sure you don't lose those contacts -- and it's called mediAvatar iPhone Contact Transfer! 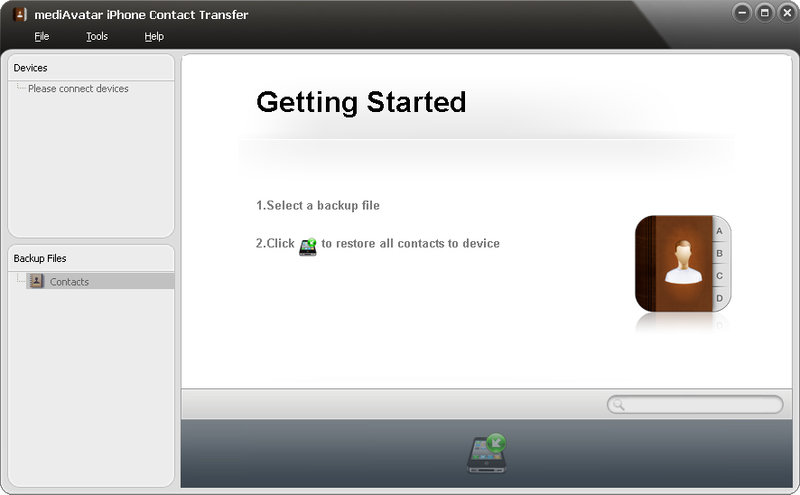 mediAvatar iPhone Contact Transfer is the easy way to transfer and backup your contacts from your iPhone to your PC or Mac. 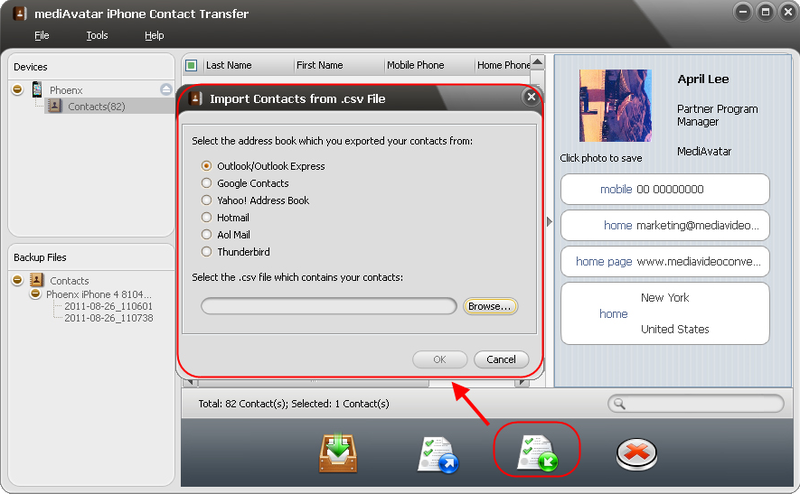 With mediAvatar iPhone Contact Transfer, all of the information about your contacts is safely duplicated on your computer as CSV or vCard files, suitable for import into Microsoft Outlook or Google Contacts. You can even sort, view, edit, and delete your contact information without needing to attach your iPhone, which is convenient if your phone happens to be in pieces strewn across your driveway. 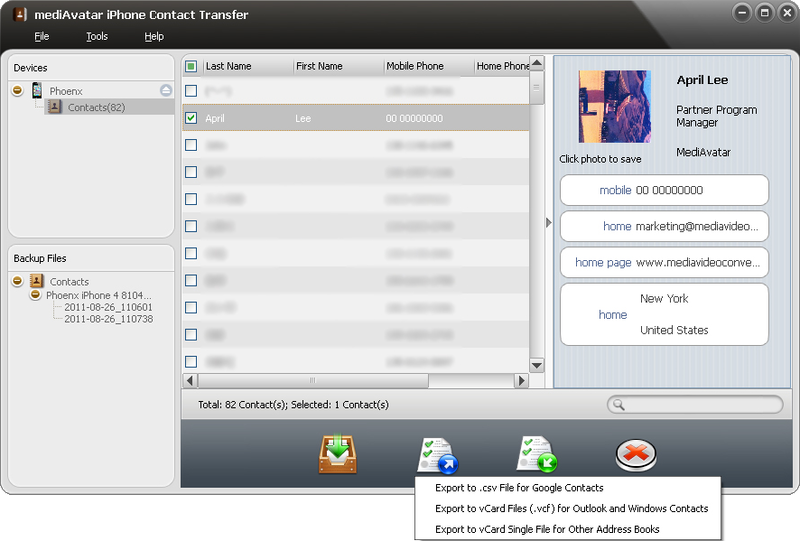 Just as mediAvatar iPhone Contact Transfer can export your contact information from your iPhone to other programs, so too can it import contact information from Google Contacts, Yahoo Address Book, Outlook, even other mobile phones! 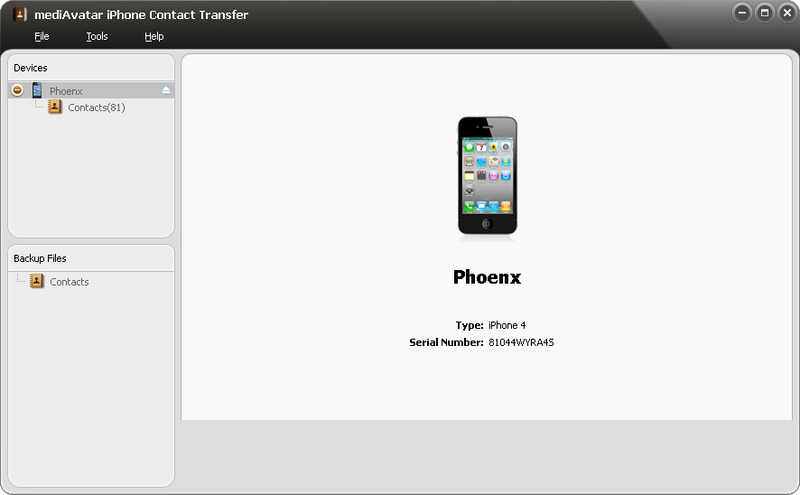 It works the same way - just export information as CSV or vCard format files, then import these files into your iPhone using mediAvatar iPhone Contact Transfer! 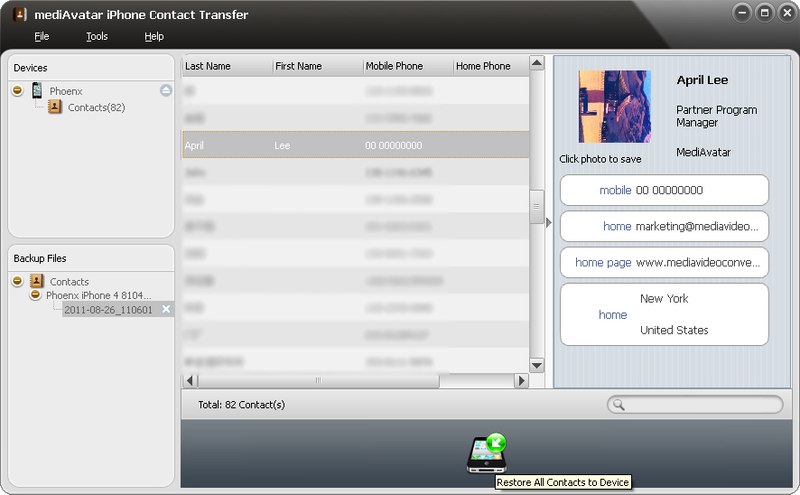 After you purchase mediAvatar iPhone Contact Transfer it may be used indefinitely. mediAvatar iPhone Contact Transfer is licensed per user, so if more people are going to use mediAvatar iPhone Contact Transfer you will need to purchase additional copies. Ian Cook My iPhone is not showing in the device list. It shows up ok in iTunes ok. How do I get it to show in your program? Ian Cook Hi, I sent a support request to you yesterday but have not heard anything back from you. Unless this matter can be resolved I would like a refund please as the software is unusable. Sorry for the delay first. Could you please provide me with your iPhone firmware version? So that i can check out the problem. Or you may write to support mediavideoconverter.com for direct support. Thanks for your support.